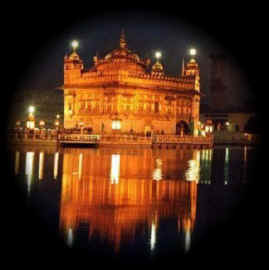 Amritsar Travel now offers India Direct Flights from Toronto and Birmingham to Amritsar and Delhi. Birmingham International Airport (BIA) welcomed news that India’s flagship carrier, Air India, will launch direct scheduled services between Birmingham, India and Canada from Sunday 15th May 2005. Birmingham will be the airline’s only UK base outside London. The service, which originates in Delhi, will provide the only direct scheduled service between Amritsar, Birmingham and Toronto. The flight schedule will be as follows: • Wednesdays, Fridays and Sundays - Arrive into Birmingham from Delhi & Amritsar at 17:15. Depart from Birmingham for Toronto at 18:45 • Thursdays, Saturdays and Mondays – Arrive into Birmingham from Toronto at 11:10. Depart Birmingham for Amritsar & Delhi at 12:30. Peter Vella, BIA’s Business Development Director, said: “This is great news for BIA and the whole region. This will be our 12th long haul scheduled destination and will open up a whole new range of opportunities for people wanting to reach Canada, India and beyond from the Midlands. The airline will operate a Boeing 777-200 aircraft on the Birmingham route, which holds 284 passengers in a mixed configuration. Fares start from £299 to India and £110 to Toronto plus taxes. Are there any plans for direct flights from Heathrow to Amritsar? Air-India today introduced direct services to Birmingham and Toronto amidst beats of Bhangra. Speaking at a function organized at IGI Airport to mark the commencement of services, Mr Praful Patel, Union Minister of Civil Aviation, complimented Air-India on expanding its network and introducing direct flights to destinations in the West from major Indian cities. He expressed optimism that with the product being substantially upgraded, Air-India will attain a high level of passenger satisfaction. Mrs Renuka Choudhury, Minister of State for Tourism, expressed happiness at the launch of the flight as it would help boost tourism. She said the joint relationship between the Civil Aviation Ministry and tourism will usher in a new era for promoting tourism and this new flight will help the tourist places in Northern India. Mr V. Thulasidas, Chairman and Managing Director, Air-India, while welcoming the guests said that the Delhi-Amritsar-Birmingham-Toronto flight was the second long haul flight being included this year from Delhi indicating the growth plans that Air-India has embarked upon. The Delhi-Frankfurt-Los Angeles flight had been inaugurated in March this year providing direct connectivity to the West coast of USA. With the launch of these new flights, Air-India will provide to the people of Punjab direct and convenient services to Birmingham, the heartland of industrial and economic activity in the UK, and to Toronto, the financial capital of Canada. The introduction of these services, which is part of Air-India's sustained drive to expand its network, will take the number of flights operated by Air-India to the UK from 18 to 21 per week. Air-India at present operates 10 flights to London which are extended to the USA -- seven to New York and three to Chicago, there are eight terminator flights -- five on the Mumbai-London-sector, two on the Mumbai-Ahmedabad-London sector and one on the routing Mumbai-Delhi-London. Three more flights will be launched on the Delhi-Dhaka-Kolkata-London sector effective June 18, 2005, connecting East India to London. With the introduction of these flights, the number of flights to the UK will go up to 24 a week, thus doubling the capacity offered by Air-India on the India-UK route in the past six months. Air-India is poised to significantly improve its market leadership positions on the India-Europe-USA routes. The airline has grown from 10 services (seven to New York and three to Chicago) a week in December 2002 to 28 services (seven each to New York, Newark, Chicago and Los Angeles) a week, from March 2005. Air-India now operates 14 flights a week to Frankfurt, which has now become a hub in Europe. Air-India is positioning itself as a premier airline by upgrading its product. In the last two years, Air-India has introduced 180 degree recline flat bed seats in its First Class and 165 degree recline seats in its Executive Class with inflight entertainment being provided on DVDs – on six owned B747-400s and personal television on B777s. First and Executive Class passengers on Air-India are also now being offered meet and greet service at Delhi and Mumbai. Air-India had, in the past, operated flights on the Mumbai-Delhi-Amritsar-Moscow-Birmingham route from January 1982 to October 1984. Flights to Toronto are being launched after a gap of eight years. NEW DELHI: Air-India’s enhanced focus on the north Indian market, especially the Delhi region, has started paying dividends. The national carrier’s earnings from the region rose by 26% in the first quarter of FY06 to Rs 130 crore. This follows the launch of more than a dozen new flights since March and a conscious effort to modify the image that Air-India was essentially a Mumbai-centric airline. The national carrier’s flights to various destinations, including Hong Kong and Birmingham, are going choc-a-bloc and further expansion of services from the northern region is on the cards, senior officials of Air-India said. The national carrier is planning to increase the frequency of its Amritsar-Birmingham-Toronto flight to five times a week from three times a week now. The Birmingham-Toronto service was a big success and A-I is gaining due to strong loads. The success of this route has also prompted Jet Airways to seek permission to operate flights to Birmingham. The ‘Focus North’ operation was launched after civil aviation minister Praful Patel stressed on the need to change the image that the national carrier was excessively obsessed with Mumbai. A-I has also expanded operations in the south, especially Kerala, with new flights of Air-India Express. The ultimate idea is to give a ‘all-India’ focus to the airline. The expansion was kicked off with three flights a week on the Delhi-Frankfurt-Los Angeles sector in March and two additional frequencies on the Delhi-Bangkok-Shanghai sector. A-I has also launched three flights a week on the Delhi-Dhaka-Kolkata-London route. Are there any plans for a direct London - Amritsar flight? In November, Royal Atlantic will fly from Gatwick to Amritsar, via Birmingham and a refuelling-stop at Baku(both-ways). Other London airports that could be used apart from Heathrow are Gatwick and Stansted. Hi I'm looking to fly to Amritsar from Brum in Feb 06 with my mother who is in a wheelchair. Can anyone advise me as to how accommodating Air India is for disabled passangers and how comfortable the seats are as I'm extremly concerned about her welbeing during the journey. Cramped seating, lack of leg room etc. I appreciated the 1st class has great reclinning seats but what about standard class? Air India will start additional flights on 1 December 2005. Flights will arrive from Mumbai and Amritsar at 1430 and depart to Toronto at 1600. The returning service will arrive from Toronto and depart to Amritsar and Mumbai at 1030. Since the launch of Air India on 15th May 2005, the service has been very successful and the airline has been wanting to expand its Birmingham operations for quite some time now. The airline now holds "slots" from 1st December 2005 for a further 3 weekly flights continuing to Toronto on a simular schedule to the excisting flights. On the down side, the airline has neither traffic rights or spare aircraft to operate these additional services. But due to good forward bookings the airline may operate some additional "one-off" flights over the Chritmas and New Year period. All flights operated by 777-200's. AI 187/187 Arr 17:15 - Dep 18:45 - Wed, Fri & Sun. AI 188/188 Arr 11:10 - Dep 12:30 - Mon, Thur & Sat. Air India said on Friday that, it has geared up for the upcoming fog problem that airlines face in winters in the northern region. The fog in Delhi usually sets in after midnight and on a bad day lifts at about 1100 hrs. In view of this fact, air India will be rescheduling a few of its flights in order to minimize inconvenience to passengers. The Delhi/Dhaka/Kolkata/London flight which is scheduled to depart from Delhi at 0650 hrs. will now be rescheduled to depart at 1100 hrs. and skip Dhaka and operate to Kolkata directly. The Dhaka/London passengers will be sent to Kolkata on Bangladesh Biman to connect the departure from Kolkata at 1430 hrs. to arrive into London at 2020 hrs. Toronto/Birmingham/Amritsar flights on a scheduled basis arrive into Amritsar at 0220 hrs. and depart at 0350 hrs. for Delhi. These flights will omit Delhi on a planned basis and will terminate at Amritsar. In the event, meal uplift is not possible at Amritsar, the flight will be extended to Mumbai. Also, if there is a bad weather at Amritsar, the flight will overfly to Mumbai. The Delhi/Frankfurt/Los Angeles/Delhi flights which operate 3 times a week and has a scheduled arrival into Delhi at 0430 hrs., will overfly to Mumbai in the event of bad weather.The aircraft would then depart for Delhi when the weather clears and commence its schedule operations subsequently. Rescheduling of this flight is not possible on a planned basis, as both Frankfurt and Los Angeles Slot Authorities have conveyed their inability to give revised slots during this period, but would accommodate our flights on a delayed basis when the need arises. Since the flight ex Delhi operates with a 747 Combi aircraft and being a single aircraft operation, if on any one of the days the flight gets delayed, the consecutive flight would also operate on a delayed basis. Air India has once a week Chicago/Delhi vv. operation. In case of bad weather, this flight will skip Delhi and will overfly to Mumbai. These passengers will be accommodated on the shuttle. Presently, two Delhi/Dubai frequencies are extended to Lucknow. During this period, the Delhi/Lucknow/Delhi leg of this flight will be cancelled. To ensure that the Delhi/Dubai flights are not affected by bad weather, the timings of these flights have been changed during this period to have the arrival/departure at 2125/2225 hrs. To achieve this, we had to advance the Singapore departure from 1510 hrs. to 0900 hrs. The entire schedule of Hong Kong/Osaka and Hong Kong/Seoul flights has been advanced by 1 hr. This will ensure that the flight departs Delhi at 2215 hrs. instead of 2315 hrs. before the fog sets in. As mentioned earlier, there will be a daily shuttle service between Mumbai/Delhi/Mumbai which will depart from Mumbai 1200 hrs. and return from Delhi at 1800 hrs. with 747-400 aircraft. This will adequately cater to the passengers stranded on any of our flights due fog. An additional A310 shuttle will be mounted, if the loads warrant on certain days. Rooms in Delhi and Mumbai will be booked on a daily basis during the fog period to accommodate passengers and avoid any inconvenience. Luxury coaches will be arranged for the transportation of passengers to/from airport to hotel. At both Mumbai and Delhi, Catering facilities for food and drinks will be arranged. Airport authorities are being requested to provide additional slumberette chairs for passenger convenience. Additional manpower will be provided at Mumbai/Delhi to guide passengers. Display of latest flight information will be provided on Air-India website. Most Television channels will be showing a ticker tape to continuously inform the public of flight arrivals/departures. The Control Cells at Delhi & Mumbai will be strengthened. The manpower in the Call Centres in Delhi & Mumbai will also be strengthened by additional temporary recruitment. Two Nodal Officers in Mumbai (V.Chandramouli, Executive Director-Mumbai Airport) and Delhi (D.S.Kohli, Director-Northern Region) have been appointed.